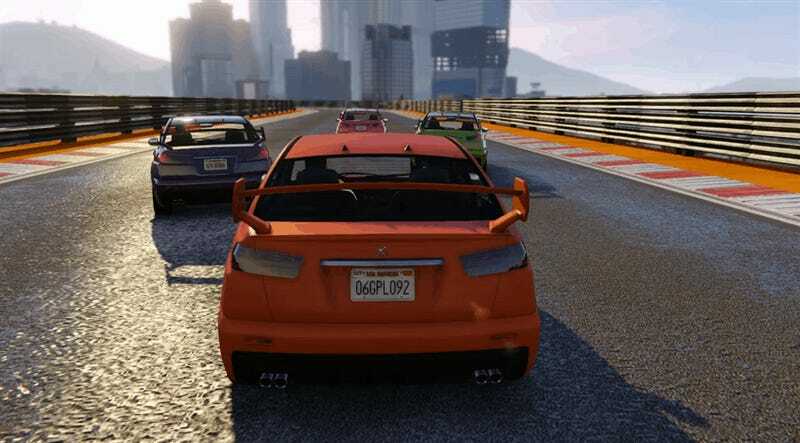 GTA Online received a new game mode this week, Tiny Racers. Played from a top down perspective, it’s a new adversary mode that channels old-school GTA. Tiny Racers might seem fun, but sadly, it’s often better to watch it than to play it. 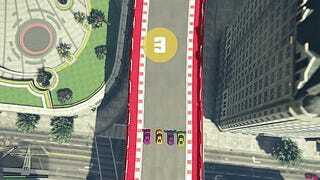 By using a high camera and large stunt tracks, Tiny Racers makes it feel as if you are controlling a toy RC car. Even the sound effects seem to be modified to reinforce that idea. Dotted around the track are power-ups that grant you access to missiles, machines guns or will transform your car into something different, like the beloved ramp car. Visually, Tiny Racers works. 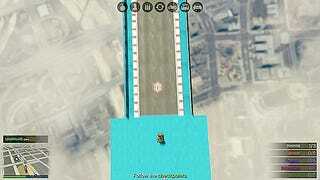 The problem is that the driving physics in GTA Online don’t translate well to the top-down view. It’s very easy to spin out of control even though the tracks have been custom-made for this mode. The biggest issue with Tiny Racers is how you win and lose races. These aren’t traditional lap races or point to point races. 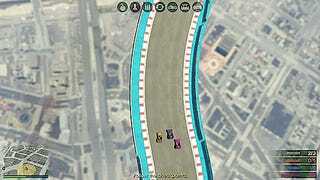 Instead, players try to outrun the other three drivers. 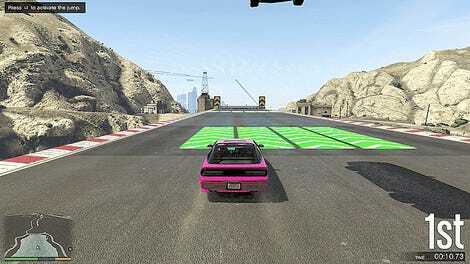 Once a player gets far enough away from the lead car a large circle appears. If you can’t catch back up to the circle in time, you explode. Last car standing gets a point and you do it again until someone has five points. Even if you avoid these dangerous drivers, you still have to stay close to first. Bumping a wall or slowing down a second too long can leave you outside the circle, which means you die. It’s frustrating. I never had a race finish with all four players. Though I did find some fans who enjoyed it! When things go right, Tiny Racers can be fun. I did have some rounds that were a blast, but overall, the mode was hard to enjoy. Regardless, it’s still worth logging in this week to play. The new races might not be great but they pay out double RP and cash. More importantly, anyone who jumps online this week will receive a $425k “tax rebate” which will be delivered sometime next month. And who doesn’t love free money?